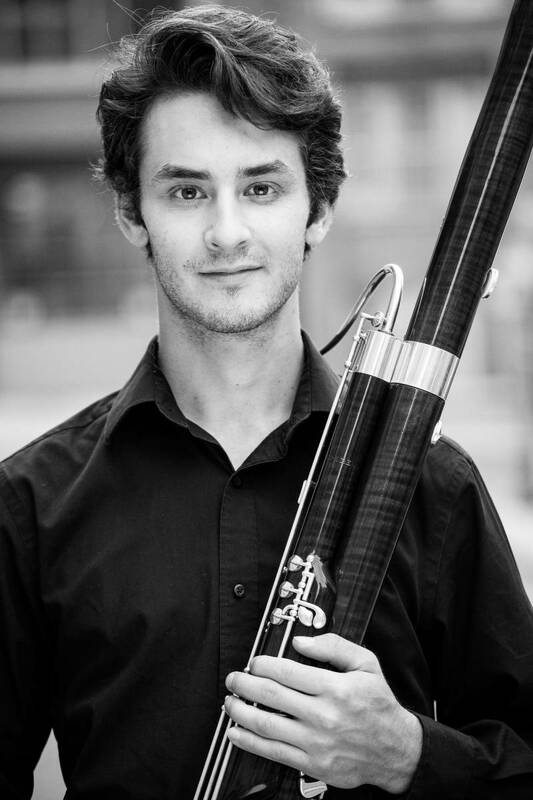 Antoine joined the Calgary Philarmonic Orchestra as their Principal Bassoonist in June 2018 at the age of 23. A native of Morin-Heights, Québec, Antoine earned his Bachelor’s in Music from the Montreal Music Conservatory and then graduated from McGill University, under the guidance of Montreal Symphony Orchestra members Mathieu Harel and Stéphane Lévesque. He also spent a semester studying with Carlo Colombo at the CNSMDP in Lyon, France. Before his appointment to the CPO, Antoine performed with the Montreal Contemporary Ensemble (ECM+), and was a substitute for the Montreal Symphony Orchestra, Drummondville Symphony Orchestra, l’Orchestre des Pays de Savoie, and Les Violons du Roy. Antoine attended music festivals such as the Pablo Casals Festival, the International Summer Institute of the Vienna University, the Banff Center for Arts and Creativity, Le Domaine Forget and Orford summer festival; having masterclasses with Dag Jensen, Gustavo Nunez, Christopher Millard, Whitney Crockett and others. He was featured as a soloist with the Montreal Music Conservatory and with the McGill Symphony Orchestra, in G. Rossini’s and André Jolivet’s bassoon concerto. Antoine has an unconditional love for animals, and the outdoors – especially biking and snowboarding. Antoine plays on a Benson Bell bassoon made in Ontario, Canada.